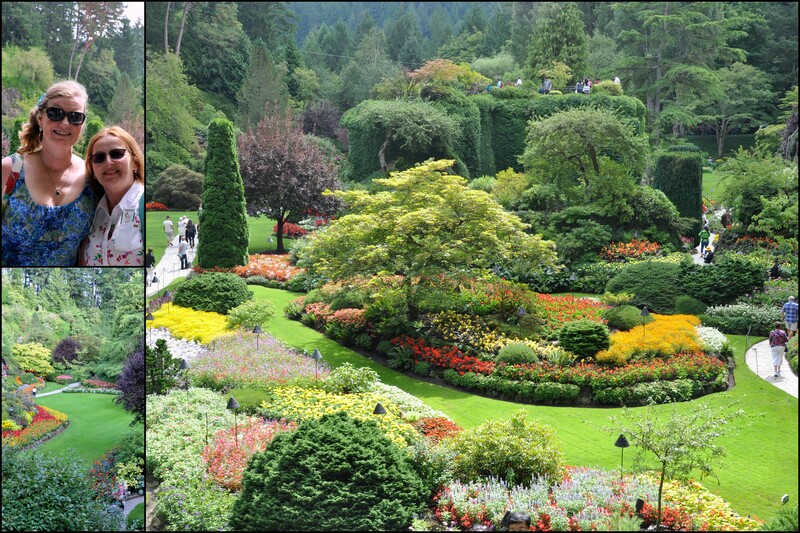 It’s hard to overdo the superlatives when describing Butchart Gardens. Magnificently creative and stunningly beautiful gardens attract a million visitors a year. 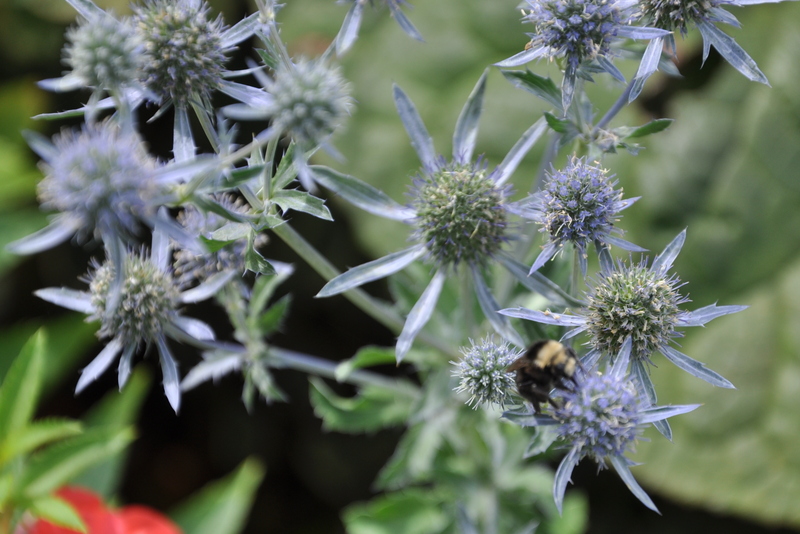 Spending time among the flora was one of the highlights of my recent trip to Vancouver Island. I spent the day at the gardens with fellow blogger extraordinaire, Boomdeeadda and her cousin, Sherri, also a blogger at Smackiland . 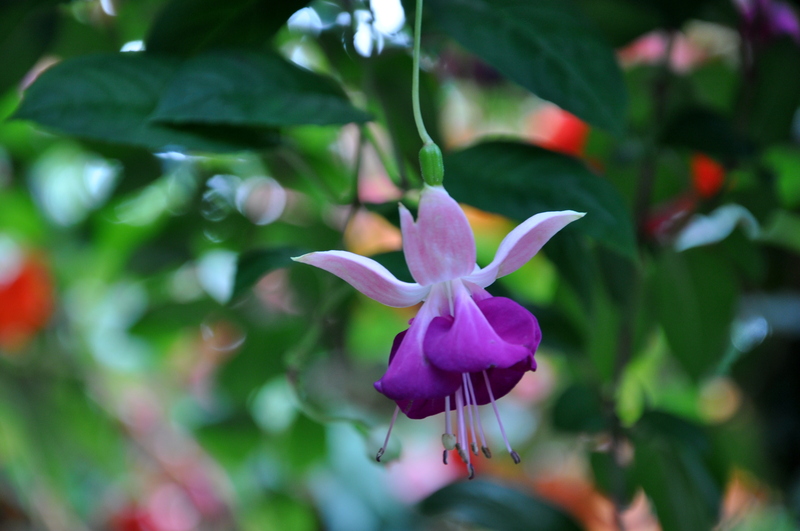 We spent hours wandering the gardens, snapping photos, and laughing like school girls. Laughter is contagious when in the company of good friends. Looking back, it’s hard to say what was so funny, but we belly laughed throughout the day, making the garden experience all the richer. I highly recommend it. Even the bus ride back to our hotel was a hoot, but I’ll leave that story for another day. 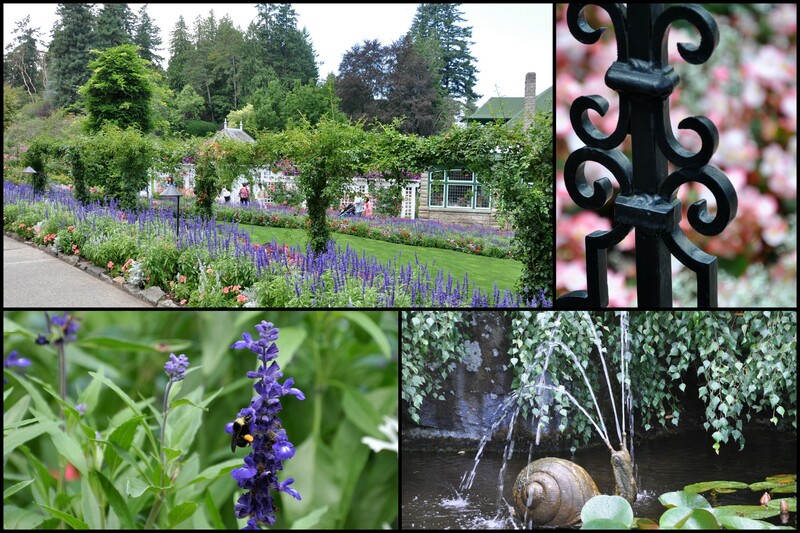 The Butchart Gardens cover more than 22 ha (55 acres) on a 53 ha (130 acre) estate. It began from an idea Jennie Butchart had to beautify the worked-out limestone quarry which had supplied her husband Robert Pim Butchart’s nearby Portland cement plant. The gardens continually expanded over the years to become the world-famous Sunken, Japanese, Rose, Italian and Mediterranean in existence today. You can read the full story of Jennie Butchart’s creative vision here. 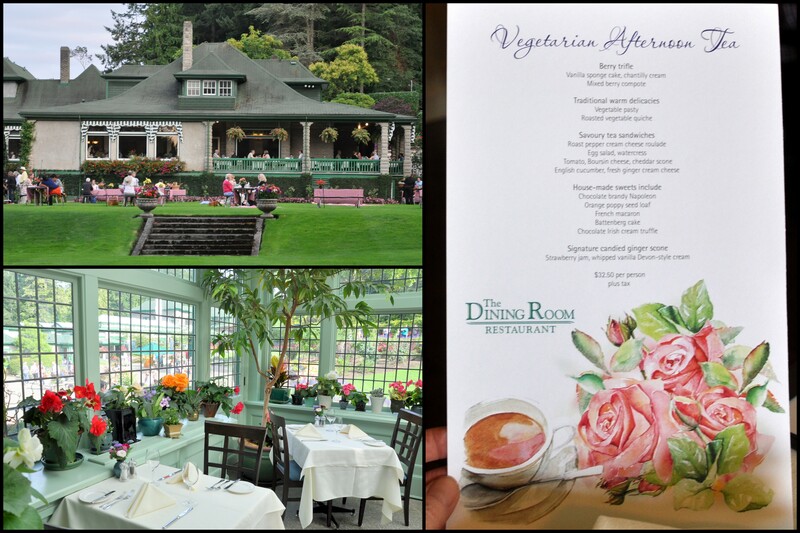 In addition to the gardens, we enjoyed a high tea in the Butchart’s former residence. 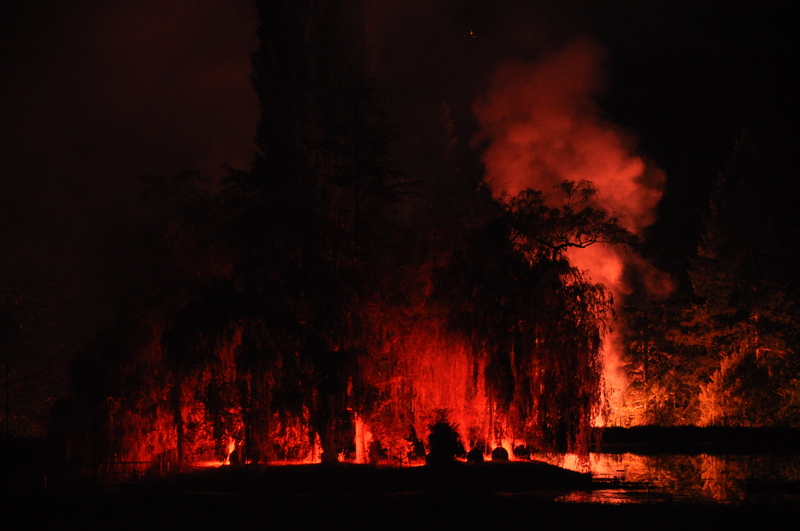 We rounded out the evening with a magnificent fireworks display viewed from one of the lawns. As many of you know, Napa, California experienced an Magnitude 6.0 earthquake early Sunday morning. We felt the shaking as far south as San Jose, but the epicenter was 104 miles (167 kilometers) away. One young child was seriously injured, but so far no fatalities. Other reported injuries were minor. I’ve attached a link with earthquake footage, charts, articles, etc. If you watch the first video, may I suggest you do so with the volume on low or off. 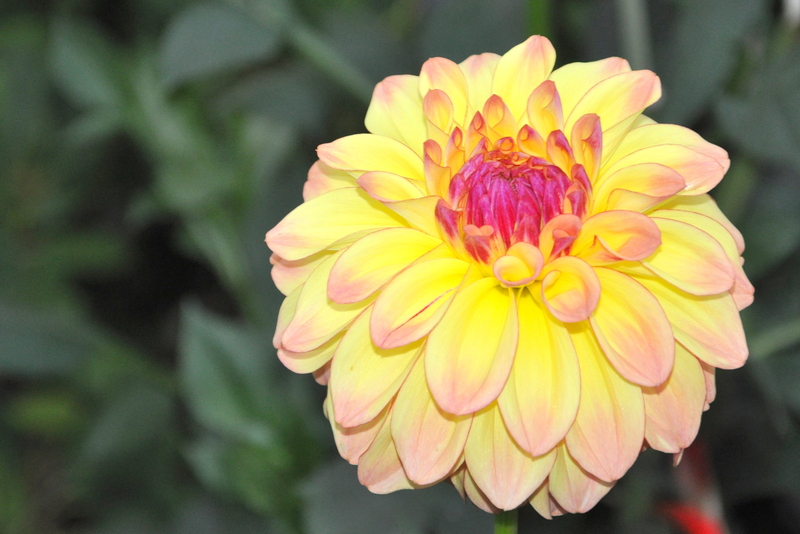 This entry was posted in Gardening and tagged botanicial gardens, Butchart Gardens, Jennie Butchart, napa valley earthquake, travel, vancouver island, victoria. Bookmark the permalink. What a stunningly beautiful vista in that second photo Alys – isn’t it grand what a bit of spare cash can create! I have friends here who own an old, disused quarry – he is a metal artist – and they have spent a few years reclaiming and growing in one part of the quarry only as they have very little money. It was recently opened as a wedding venue. It has been a long hard road for them and they live in a two room shack with their two very young children, but maybe one day they too will leave a beautiful legacy! It is so lovely to hear you spent much of your time laughing over things that don’t matter! A great activity to undertake any day! Pauline, yes gobs of money and labor went in to this. I just don’t think of people owning quarries any more. How did your friends acquire it? I love that they’re converting it. Could they offer sections to others to create community gardens, perhaps for a small fee? Are they offering it is a wedding venue for rental? Oh, please tell me more. We are currently on an Alaska cruise. In Ketchikan Alaska right now. Look forward to commenting more after we see Bouchard Gardens for ourselves on Wednesday. Your post is perfect timing! Wow. serendipity! I bet you’re having a terrific time. Let’s compare notes when you get back. Alys, thanks so much! We only got to the Gardens twice in all the years I lived there, but I loved them, too. The rose garden was one of my favourites; in those days it was quite large, with blue delphinia all around the outer wall. What a stunning backdrop for all the reds, pinks and whites! Glad you and Ms Boomdee and Sherri had a lovely time. I can’t remember if the tea house was there when I went, but it would be a definite stop if I were to go back again. Linne, I’m so glad you enjoyed the pictures and the memories they evoked. There is so much history in those gardens. I’m amazed that it remains in the family after so many years. They employ 50 gardeners to keep it looking like this. I was there in 1980 with another girlfriend. I hope to go back again. The Butchart is such a treasure, it so amazing to have it so close to my front door: your photos really do the beauty that is found there justice. Thank you, Charlie! I only had a few hours in the Seattle airport, but I hope to come back for a visit. I hear it’s equally beautiful. Glad you are safe! Earthquakes are terrifying! And thank you so much for all the lovely photos of that wonderful day out, seemed like a lot of fun! It’s wonderful to see the gardens as beautiful as I remember. Was the tea lunch as wonderful? We had the best time in that tea house. The setting was phenomenal! I got the postcard and it appears you all had a jolly good time. I know how those giggles can get going. My mother and I did that on our first tour we took together to Germany. Dad didn’t want to go so I left my husband with him for them to babysit each other. Mom and I giggled over everything the whole trip. It was a novel experience for the two of us. I saw the footage of the earthquake and am always horrified. Have been through a few in S. Calif so I know the feeling. We can get them here too and we expect them. Just don’t know when. Your photos are so much better than those I took so many years ago and are inspiring another trip someday. I’m so glad the postcard arrived so you knew we were thinking of you. I wondered if you had been to the gardens. It’s an amazing place, one you could enjoy again and again. I bet it’s spectacular in the spring. What a nice time you had with your mother in Germany. That made me smile. Traveling with loved ones creates so many memories, and usually photos too, to last a lifetime. I like the European practice of traveling for a month every year. We need to learn to relax more in this country, IMO. Were you in Southern California when the Northridge quake hit? That was a scary one, too, and only a few years after Loma Prieta. I’m lucky to have a wonderful camera which is officially Mike’s We still laugh about it. It was his request for Christmas a few years ago, and I happily obliged. He wanted me to try it and I found it so much bigger and heavier than my point and click. Within a week I was a total convert. Last year he gave me a piece of jewelry and a camera lens for Christmas. He still laughs that I got excited and totally lit up over the new camera lens. Perhaps you, me and Boomdee will meet in Victoria one day. Let’s think about that if you’re game. The fun trip with my mother came as a surprise as she was quite a difficult woman to be around most of the time. It was a side of her I had never seen and enjoyed every moment. Yes, we were there for the Northridge quake and several others. The Northridge quake made my daughter move to New Mexico. Everything fell on them and the toilet came out of the wall. Barely got out of the building as she lived closer than I did to the center. I was ready to give up too. Lived through tornadoes, typhoons, and all manner of weather will take all of the above before an earthquake like that. You have a good husband to give you back your present. He knows you make great use of it and share nicely. 🙂 I’m with you on the camera over the jewelry. But then, I’m a Virgo. Practical and pragmatic. I rarely get to wear jewelry anyway. I have been talking to my daughter about a trip to Victoria. Maybe next time you go, I would love to meet up with you both. I won’t be moving and renovating. I spent some time at the Empress Hotel having snacks of some sort with my sister. Fell in love with the whole area then. It’s hard to tame the gypsy in my soul but I can wander better now that I have a home to come back to. I’m glad you had the chance to experience your mother in such a different way. What an experience for both of you. I’m sorry she was hard on you growing up. I’m also sorry to hear about your daughter’s Northridge experience. That’s a lot of trauma and not surprising that she moved. I suppose with hurricanes and tornadoes, you get some warning. With earthquakes, they just happen. You hope you’re in the right place and that nothing falls on you. They’re scary, aren’t they? I kissed lots of toads along the way, but when I finally got married, I married a keeper. I turned 36 on our honeymoon 19 years ago. I was ready to be alone instead of putting up with…you know…all of it. I count my blessings, truly. And yes, camera lens and a sewing machine over the years trump any frilly gift, though I appreciated the love and thought behind all of them. We walked through the Empress and also the gardens. What history and majesty. Such lovely photos, Alys! You really provided a nice introduction to these gardens. How do you pronounce the name of the garden? That tea room is so inviting! What a wonderful time you all had. You must have been in heaven! By the way … I did wonder about you. I knew the quake wasn’t too close to you, but I wondered if you could feel the shocks. Scary! It’s pronounced Boo-shart LB 😀 It’s the family name of the property owners that started the gardens. It used to be a private residence. Thanks you, LB! It was hard to take a bad photo in that place, let me tell you. Beauty literally lined the paths. The tea room is a delight. It’s the former residence, built over 100 years ago. I just love that green colored room with the huge windows and flowering plants. Mike felt the first quake, but we’ve not felt the aftershocks. They’re usually quite a bit smaller. I remember all the aftershocks following the 1989 earthquake here. The buildings would shutter every five or ten minutes. It was actually pretty unnerving. Thanks to you for thinking ahead and planning the Saturday. I didn’t know about the fireworks, so I wouldn’t have thought to look for that. It sure ended the day on an exciting note, though not as exciting as running down the nighttime paths for the bus, followed by that silly bus ride home. Oh, what a day. It was sweet of you to treat us to tea and presenting us with lovely bracelets was simply the cherry on top. 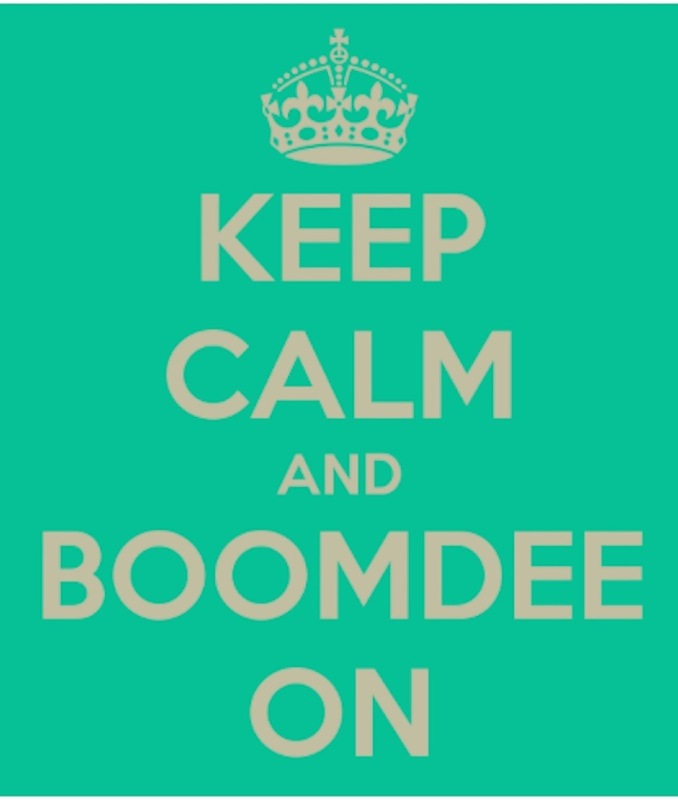 You’re the sweetest Boomdee ever! Victoria is an anomaly, but in all the good ways. It’s quite an extraordinary place. The Dahlias were fantastic. I’m looking forward to seeing your shots as I know you took several. I think I had picture-taking fatigue by then. I was definitely slowing down. I either slept through the quake, or woke up and went back to sleep. Mike woke up and said the bed shook. I probably thought it was one of the cats. It wasn’t until later that morning that we realized how extensive the damage was. By law all those old buildings should have been earthquake retrofitted or torn down, a long that has been on the books for thirty years. Our paper did an article on it. It’s the un-reinforced masonry buildings that cause the trouble. That said, plenty of damage to stores, mobile homes, water pipes and merchandise, chimneys…you can only protect so much. When the ground moves that violently and that deeply, damage will happen. We all still remember the 1989 quake and the damage it brought. They’re a reminder, always, that we live on a fault. We couldn’t have asked for a more perfect day. What fun! I bet the gardens clean up on all the teflon blanket sales. They’re portable and effective aren’t they? I have four of them in our earthquake kit along with first aid and other items. I still laugh at us trying to be so careful about where we sat, only to have them remove the ropes and open up the aisle. Then once it was dark and the show started, I wasn’t even aware of the people around us. They’ve got it down to a science. It is unreasonable to want my yard to look like that? haha. Wow, i have not been to any sort of botanical garden in FOREVER. Even that tearoom is to die for! I am glad to hear you girls had a great time together- such crazies you are. I bet you have enough inspiration for a lifetime.